For the new year I decided I wanted to get a new foundation that I wouldn't normally buy. You see I have never really been a fan of liquid foundations I have always found that they are hard to apply or I apply way too much or I end up with cake face!. The last liquid foundation I used was Maybelline's FIT Me! for a drug store brand it was okay but I stopped using it when I got my Bare Minerals again. In the winter I feel the Bare Minerals tends to emphasize any and all dryness on my face so I heard using a liquid was the answer to the winter blues. I don't know what took me so long to get on the Makeup Forever band wagon. I always hear girls rave about this foundation but I was hesitant to pick it up because like I said me and liquids aren't exactly friends. 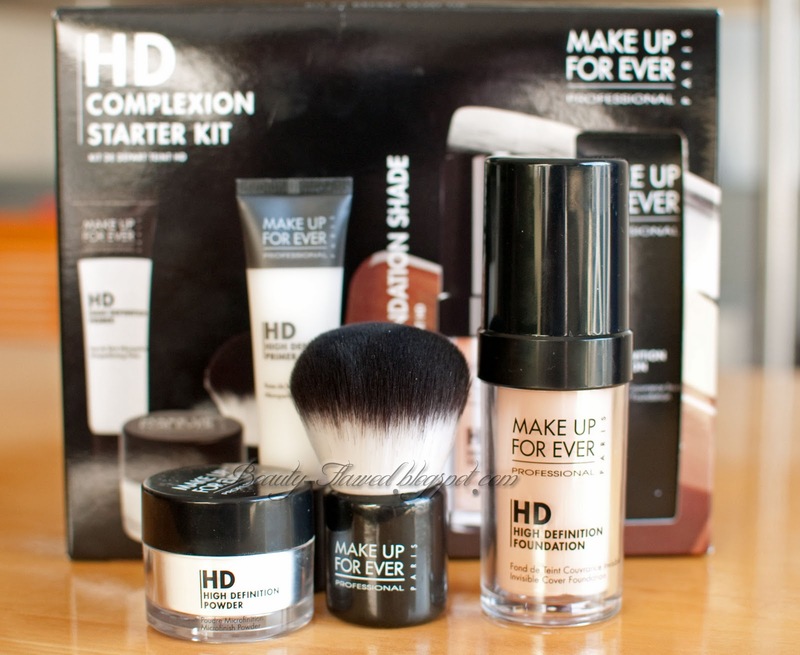 So when I saw the Make Up Forever HD Complexion Starter Kit I knew I had to give it a try. The kit is a bit pricey at $79 dollars but it's absolutely worth it. In this kit you get 0.17 oz HD Microfinish Powder, HD Kabuki Brush, 0.5 oz HD Microperfecting Primer, and 1.01 oz HD Invisible Cover Foundation. The foundation is full size and the powder and primer are what I would call deluxe samples. The brush is also super soft and just as nice as my Sigma Mr. Bunny Brushes. I'm really impressed with this it applies smoothly and has a light feel to it. Once applied it does not feel heavy or oily on the skin. To me this doesn't have any sort of smell to it but it does list Parfum (Fragrance) as an ingredient so it might smell more to others with more sensitive noses. I usually stipple this on with my Sigma F50 Duo Fiber brush but I have also quickly applied it with my fingers and the finish turned out nice but not as airbrushed looking as I would have liked. The pump is a great feature on this it helps keep the product hygienic so your not dipping fingers or brushes in it all the time and it just makes it so much easier to use. I can cover my whole face with light coverage with one pump and med to full with two. This is build able so if you like more coverage you can achieve that with his product. I have noticed that this does emphasize dry spots a tiny bit, to help prevent this I make sure I have applied primer to the extra dry spots and it helps cut down on the flakiness. Also once it is applied and before I set it with powder I mist my face with water or my Eau Roma Water Toner from Lush and it really helps minimize the dry areas and lock in moisture. In the swatch below the top half is un-blended and the bottom has been blended out with my fingers. I was a little worried that this would be too pink for my skin but as you can see it blends out wonderfully almost like it isn't even there. This product does not contain SPF at all so its great if your going to be photographed or your like me and don't want a foundation that has and SPF because you already use another product that contains it. I didn't take a swatch of this because I didn't want this to be super picture heavy or longer than it already is but let me tell you the primer is lovely. This feels like silk on the skin, it has a milky consistency and does not feel oily. I apply this all over my face and make sure I have a little extra in the super dry places. This really helps your makeup stay put and not slide off, keeping your skin looking flawless all day. 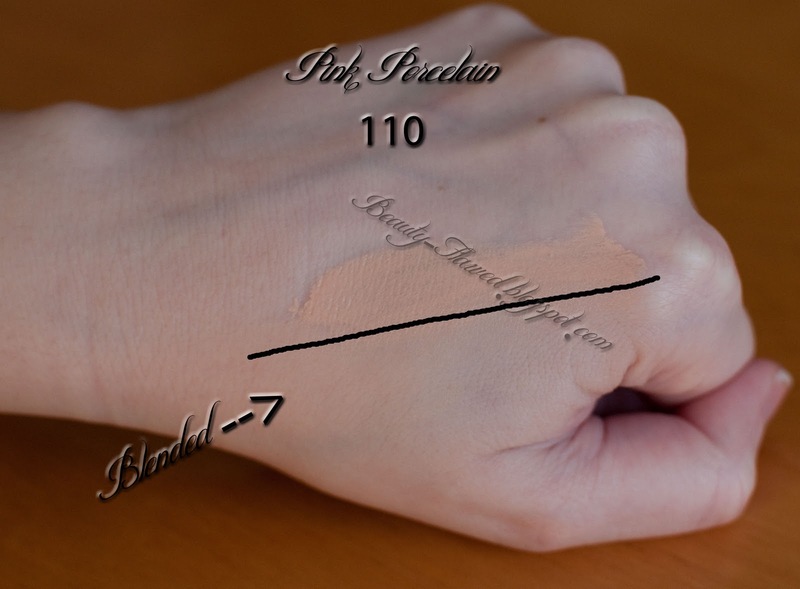 The one I have is in Neutral which helps add luminosity to the skin and it really does just that. This also has a very clean smell to it that is strong at first but fades quickly once applied to the skin. Before this the only other finishing powder I had used was the Mineral Veil from Bare Minerals and to be honest half the time I skipped it because I felt like it was just an extra step. I kinda feel the same way about this one but the end result is much better than the Mineral Veil. This really does give your face a soft focus and helps minimize any imperfections. The texture of this is very soft and reminds me of velvet. To apply this I now use a powder puff but since it came with a brush I tried that as well. To apply it with a brush you need to press and roll it into your skin. For years I just buffed it on and wondered why I looked all red again, until I watched Goss Makeup Artist's video on You Tube on do not use a powder brush to apply powder... and now it all makes sense. If you haven't seen any of his videos I highly recommend them hes really good and what he does and best part hes honest about it. This can also be used on bare skin to help create a matte finish. It is made of 100% Silica and does not contain Talc. Do you have any Makeup Forever Products? [+/- CI 7789 (Titanium Dioxide), CI77492 (Iron Oxides), CI 77491 (Iron Oxides), CI 77499 (Iron Oxides)]. 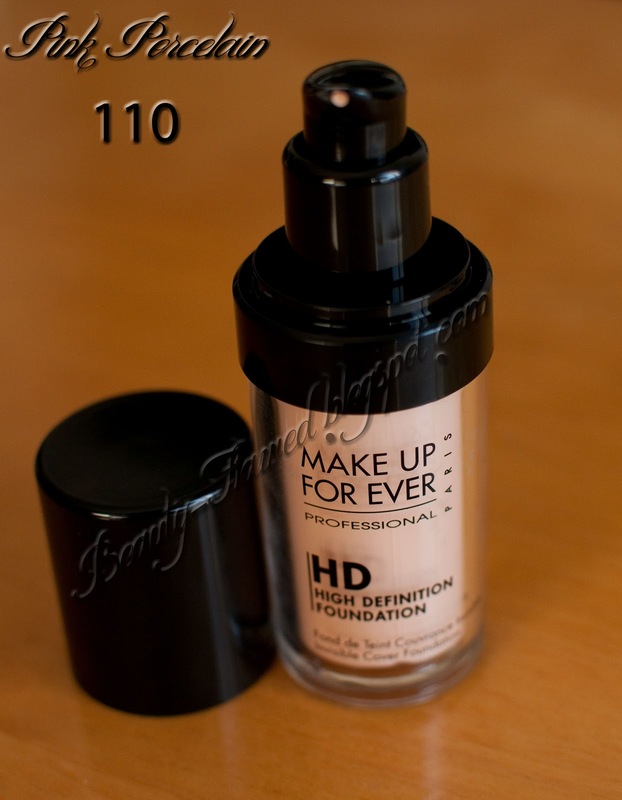 Make UP Forever High Definition Primer #0 Neutral Ingredients: Aqua (water), Cyclopentasiloxane, Butylene Glycol, Phenyl Trmethicone, Pentaerthrityl Tetraisosterate, Pentylene Glycol, Dimethicone Crossplymer, Cetyl Alchohol, Glyceryl Stearate, Panthenol, Silica, Sclerotium Gum, Dimetheiconol, Peg-75 Sterate, Glyceryl Caprylate, Phenooxyethanol, Ceteth-20, Argania Spinose Extract (Argania Spinose Kernel Extract), Hydrolized Algin, Xanthan Gum, Capparis Spinosa Extract (Capparis Spinosa Fruit Extract), Octyldodecyl Myristate, Laminaria Digitata, Parfum (Fragrance), Steareth-20, Polyaminopropyl Biguanide, Sodium Cocoyl Glutatmate, Carbomer, Hexyl Cinnamal, Benzyl Saucylate, Limonene, Butylphenyl Methypropinonal, Unalool. Great review. I have been wanting to try this foundation forever. Go get it, so so worth it wish I would have picked it up sooner. Nice review. I like Makeup Forever too. But am always trying on different foundations. I got this set for Christmas, I use it every day and love it! The brush it comes with is a dream too. Great review. I have never tried and MUFE products but I've always been wanting to get that starter kit. cute blog hun! can't wait to read more! 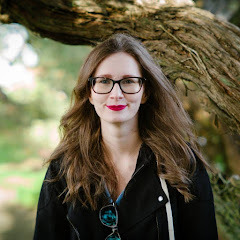 found you while "blog walking" and thought i would say a hello! newest follower ♥ -- would love it if you could visit me and follow back sometime ? Thanks Jasmine I will for sure!